Young Lee, associate professor of mathematics and computer science, and students. Manchester is the only small four-year school to make the “Top 10” Honor Roll in a five-state area of Indiana, Illinois, Ohio, Michigan and Wisconsin. This is the fourth-straight year for Manchester to achieve Honor Roll status among the 97 colleges achieving “2013 Great Colleges to Work For” recognition. In a major feature, “Well-Marked Paths to Tenure Put New Professors at Ease,” The Chronicle praises Manchester for its promotion process that emphasizes communication and support. "I don't want there to ever be any surprises when someone comes up for tenure. (Faculty) should know where they stand," Dean Glenn R. Sharfman, vice president for academic affairs, told The Chronicle for its story. Manchester faculty on tenure-track prepare annual reviews for Dean Sharfman and their department chair. Those reviews help to ensure they are on track, says physics Professor Greg W. Clark, recent chair of the University’s committee on appointment, promotion and tenure. During their third year, faculty members compile a dossier of their accomplishments for the committee. Professor Debra Lynn, who also directs MU’s choral music program, participated in the survey with praise for the University’s habit of collaborative decision making. “We work to find solutions together, as a team. It is one of the primary reasons I’ve stayed here for 15 years.” While colleagues at other small colleges are dealing with arbitrary music program and budget cuts, Lynn says her voice is heard and respected at Manchester. A brand-new $9 million Academic Center for many of the liberal arts college’s disciplines (and faculty), a modern Science Center and a Union filled with student support and lecture space undoubtedly fueled the high rankings for facilities and work space. 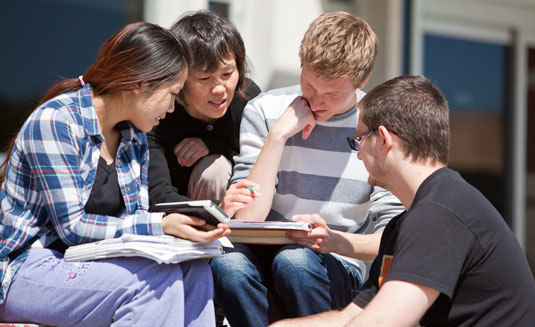 All are accessible, high-tech and designed for faculty-student collaborations and learning. The Chronicle’s survey results are based on a two-part analysis: an institutional audit of demographics and workplace policies; and a survey of faculty, administrators, and professional support staff. The primary factor was employee feedback. 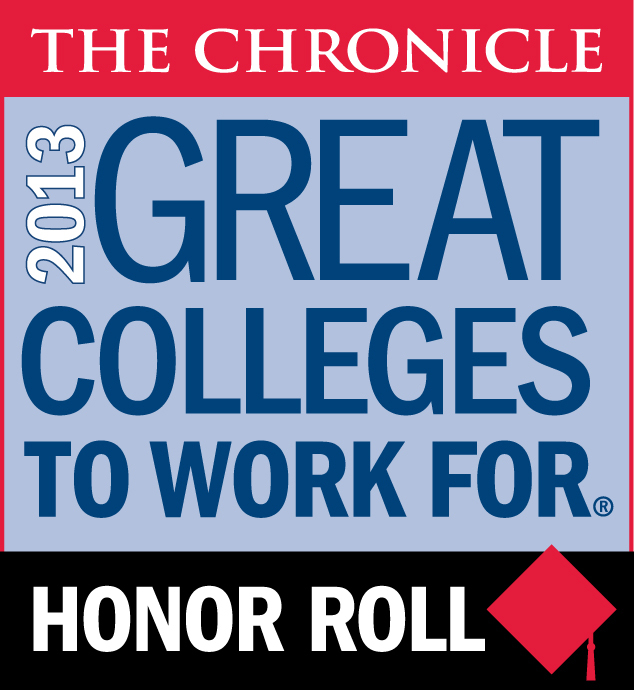 For more about “Great Colleges to Work For,” one of the largest and most respected workplace recognitions in the nation and to view all results of the survey, visit The Chronicle online.